Crunchy, tart, sweet, and spicy and all kinds of tasty. 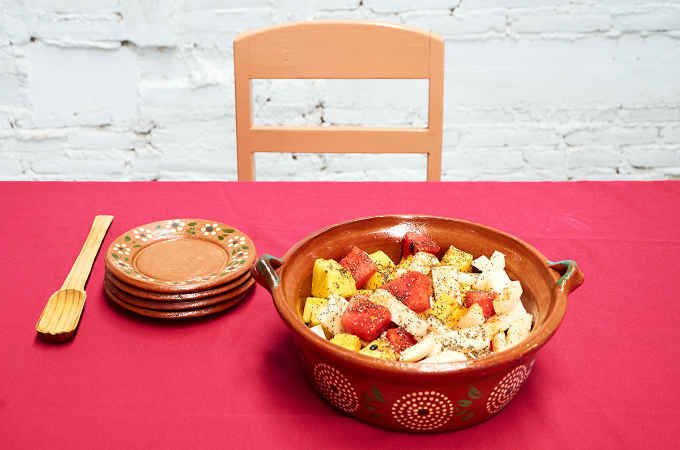 A super easy spicy Mexican fruit salad you can prepare in 10 minutes. We used jicama, pineapple, and watermelon for our salad but you can mix and match your favorite fruits and it will be great every time. The chia seeds add a nice extra crunch and some nutrition too. 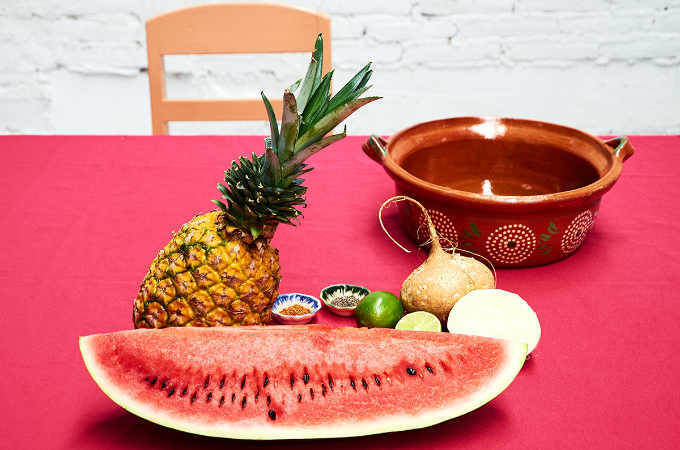 If you have never tried eating fruit with chili powder and lime juice you are in for a treat. Sweet goes really well with spicy. We used Tajín brand chili powder. It’s our favorite and it’ really easy to find at most supermarkets. People say that eating healthy isn’t tasty but this salad proves them wrong. This is better than eating candy. Really. Let us know in the comments below what you think of the recipe. Provecho! 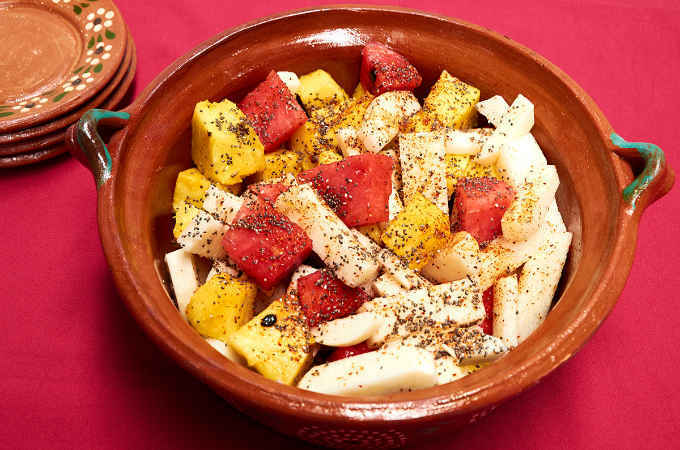 Versatile Mexican fruit salad, ensalada de fruta, prepared with jicama, pineapple, watermelon, Tájin chili powder and chia seeds. It's crunchy, tart, sweet, and spicy. Preparation time is only ten minutes. The salad will keep for a day in the fridge if you don't put the lime juice, chili powder and, chia on it. Sprinkle these ingredients on when you are ready to serve. Orange, mango, and papaya are good options for a fruit salad.